Where are you? Home > News > Hassouna Bangaladish's music in "Machine Gun Preacher"
UK label ARC have announced that "Machine Gun Preacher", starring Scottish action hero Gerard Butler (300, Law Abiding Citizen, RocknRolla) is currently in cinemas across the UK, and it features music from ARC’s Hassouna Bangaladish. 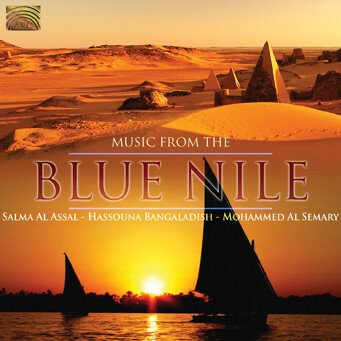 “Aadila Ya Baida” (lead vocal by Salma Al Assal) from the album 'Music from the Blue Nile' (ARC, EUCD2212) features in the film, which premiered at the Toronto International Film Festival in September. "Machine Gun Preacher" is based on the true story of Sam Childers (Butler), a violent gang biker and all-round hell-raiser from Minnesota who finds God and travels to East Africa as a missionary. There he finds himself horrified at the suppression and enslavement endured by the locals, and resolves to protect them against the vicious Lord’s Resistance Army, with violent consequences. Directed by Marc Foster (Monster’s Ball, Quantum of Solace) the film also stars Michelle Monaghan (Source Code, Due Date, Mission: Impossible III) as Sam’s wife, Lynn. 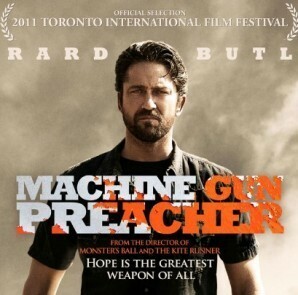 Machine Gun Preacher becomes the sixth major film production in five years to feature music from the ARC Music catalogue, following placements in James Bond Casino Royale (2006); Indiana Jones and The Kingdom of the Crystal Skull (2008); Burn After Reading (2009); and Prince of Persia: The Sands of Time (2010) and Conan The Barbarian 3D (2011). Previous placements also include The Kingdom, Munich, The Constant Gardner, War, and The 40 Year Old Virgin.